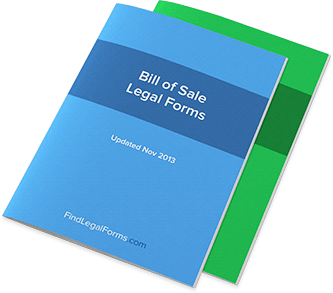 UK Bill of Sale Forms. For Immediate Use. Boat/Vessel Bill of Sale (England & Wales) Form to use when buying or selling a Boat or Vessel in England or Wales. It offers the option to sell the vessel “as is” or with a warranty. Mobile Home Bill of Sale (England & Wales) Form to use when buying or selling a mobile home in England and Wales. The mobile home can be sold "as is" or with a warranty. Motorcycle As Is Bill of Sale (England and Wales) This Motorcycle "As Is" Bill of Sale and Odometer Disclosure Statement is designed for use in England and Wales. This form is available for immediate download. Motorcycle Bill of Sale (England and Wales) This Motorcycle Bill of Sale and Odometer Disclosure Statement is designed for use in England and Wales. This form is available for immediate download. Bird Bill of Sale (England and Wales) This Bird Bill of Sale is designed for use in England and Wales. This form is available for immediate download. Cat Bill of Sale (England and Wales) This Cat Bill of Sale is created for use in England and Wales. This legal form is available for immediate download. Dog Bill of Sale (England and Wales) This Dog Bill of Sale is created for use in England and Wales. This form is available for immediate use. Exotic Animal Bill of Sale (England and Wales) This Exotic Animal Bill of Sale is designed for use in England and Wales. This form is available for immediate download. Horse Bill of Sale (England and Wales) This Horse Bill of Sale is created for use in England and Wales. This form is available for immediate download. Bills of Sale Combo Package (England and Wales) Get 5 forms for just $10.95. Save 50%! This Bills of Sale Combo Package is created for use in England and Wales. This combo package is available for immediate download. Pet and Animal Bill of Sale Combo Package (England) Get 3 forms for just $7.95. Save 50%! This Pet and Animal Bill of Sale Combo Package is created for use in England and Wales. This combo is available for immediate download. Vehicle Bill of Sale Combo Package (England and Wales) Get 5 forms for just $8.95. Save 59%! This Vehicle Bill of Sale Combo Package is created for England and Wales. This combo package is available for immediate download.